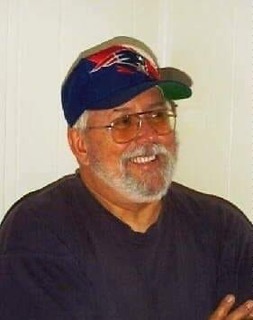 Gerard V. Thibault, 74, of Tiverton, also known by Jerry, Jerry from the Dairy and RcPop, passed away on April 10, 2019, at St. Anne's Hospital in Fall River, MA, after a long illness. Jerry was born in Fall River, on June 26, 1944, to the late Albert Thibault and the late Mary (Collard) Thibault. Gerard was the husband of Ruth Ameil for the last 35 years. He worked most recently as a dairy manager at LeComtes Dairy in Somerset, MA. He was devoted to his family and helped with bringing up his niece and nephew after his younger brother passed away. In his spare time, he was a member of the Hiddenbrook RC Club in Tiverton. He enjoyed the RC flying and RC boating but enjoyed his flying friends more. He was a member of the Elks for the last 45 years and The Knights of Columbus. He enjoyed travel and loved going out to breakfast with friends. Besides his wife, Ruth, he is survived by his children, Scott Thibault of Fairhaven, MA, Jeri Anne Smith-Thibault of Georgia, Vicki Bradley of Hopkinton, MA, and David Thibault of Tiverton RI, his siblings, Robert Thibault, Doris Auedette, Pauline Augiar, and Ronald Thibault, all of Fall River, his grandchildren, Kyle Thibault, Cody Thibault, Craig Thibault, Benjamin Coleman, David Bradley, Nicholas Bradley, Julia Bradley, and Haley Thibault, as well as numerous nieces and nephews. Besides his parents, he was preceded in death by his brothers, Eugene Thibault, Raymond Thibault, Arthur Thibault, Richard Thibault, and Roland Thibault. His funeral services are private. Donations in his memory may be made to the American Heart Association, 1 State St #200, Providence, RI 02908, or to the American Diabetes Association, 260 Cochituate Rd #200, Framingham, MA 01701.